If you have always wanted to learn Italian but have no time, listen to this! Italian is a beautiful language that is spoken by millions around the world! It is hard to find time to learn a new language, however. Language courses at schools and colleges are routine and boring! 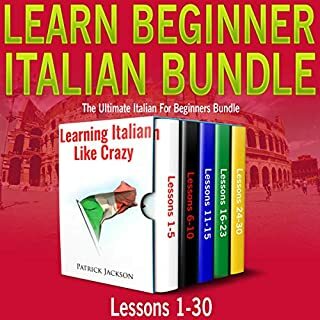 Learn Italian for Beginners Easily and In Your Car is perfect for people who have no other time to learn a new language! 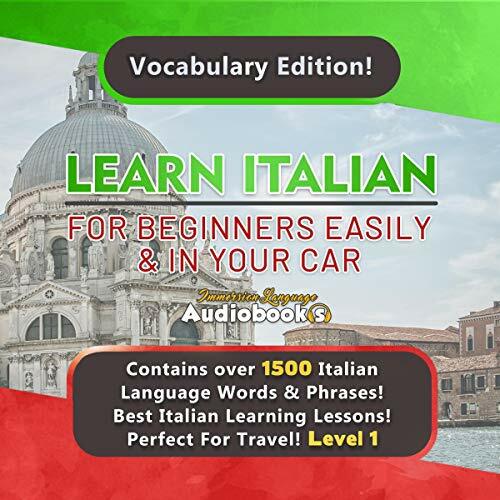 It contains over 1500 common Italian phrases and words that will help you in everyday life and travel! Each phrase is pronounced slowly and multiple times so that you can really learn the correct pronunciation. Each word's equivalent English translation is also provided! This audiobook comes with a free PDF of the entire text delivered directly to your library! Immersion language audiobooks have taught thousands of people to learn a new language - be one of them today! 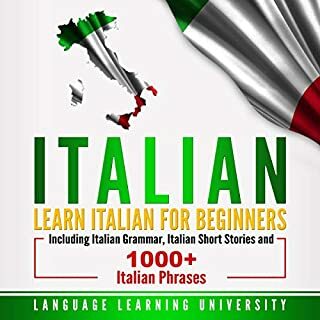 I can't believe I spent so little money and feel confident to speak the Italian language in such a short time.it is an excellent start, especially for the price. These books clearly explain Italian vocabulary. I would recommend taking an actual class as well and use this program as a study tool. This is a really good and thorough course in the language. I finished the material last night, and I am very pleased with my handle on the language. I think the best learning will result from using all the course's materials. 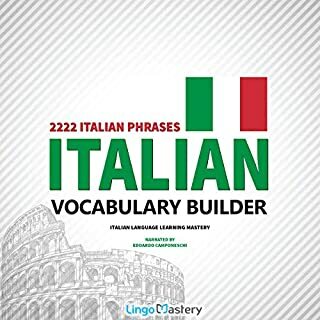 The books that are included with Italian vocabulary. I have been listening this audiobook in my car. and in just a few weeks I know so many words and phrases. I have done other language courses and find this method very effective. It makes it so easy to learn Italian. Better than learning from a book because you can really hear the pronunciations and allows you to feel comfortable interacting and have a conversation to a native Italian speaker. Great practice. I hear it on my way to work for about half an hour almost every day. Really a good learning tool. I used it when driving and flying. You do have to put some time and concentration into this in order to really pick up enough Italian. I mastered two or three sentences and with those I fooled some Italians into thinking I was fluent!! I'll keep working at it and will be better before my next trip to Rome. Awesome!!!! So easy not overwhelmed. Another language for me is so hard but I learned so much out of this audiobook than a whole year in high school! This was so great to listen to and learn while I drove. I think the speed starts off a little slow, but by lesson 2 and 3 it's just where I needed it to be. Wish it covered more, but I guess that's what level 2 is for! 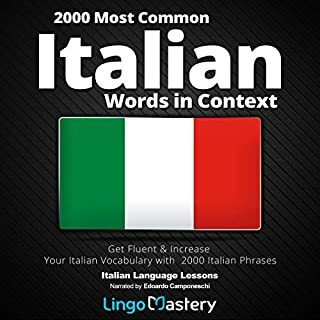 I am planning for a short tour to Italy after this month and got this audiobook to lean some useful Italian phrases which will definitely help me to learn Italian language. I am sure, I will get good results. This book really does work for basic knowledge! A must read before travels-knew nothing and now feel much more comfortable as my Italy trip approaches! The book has been written very well and follows a proper system so that the language is learnt properly. The book explains conversations in various common but specific locations as well which will be very useful like how to book a room or how to ask for directions. This guidebook is amazing and very helpful. By the help of this book I have come to know about Italian language within a short time. Thought still I am not fluent in that language, but I have learned a lot. This book is perfect for the beginners like me. What I liked most is the author uses similar words from English and then shows you the Italian/Latin version so you can do some word associations. I'm a visual learning so for me, seeing it laid out like this made things a lot easier for me. I highly recommend this book as it uses a unique way of teaching a foreign language. This amazing book is everything you need to immerse yourself with the Italian language. From learning the ABCs to constructing sentences and everything in between, this book is perfect for beginners. 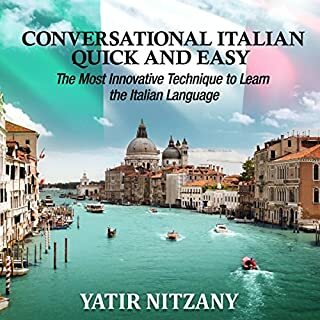 With this book, you can speak and write Italian like a native in no time. Highly recommended. A Self-Teaching Guide is the ideal way to master the language at your own pace. In this book, you’ll learn how to engage in everyday conversations from ordering at a restaurant to asking for directions to making special arrangements with a hotel concierge. Italian is definitely a romantic language and I really want to learn even the basics. It is really important to learn how to pronounce the basic alphabet and I had fun learning it. I ended up flying through the book because it's such an easy to follow with great explanations. Great resource for beginners. Really liked how the grammar terms were explained. Highly recommended!